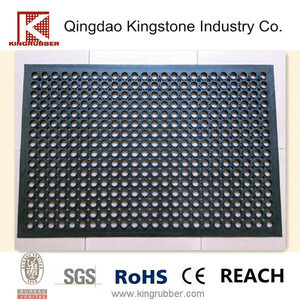 Common Rubber anti-fatigue floor safety mat carpet: 1.The rubber mat keep your employees comfortable; 2.Single workstation mat has a hidden interlocking system designed to connect on all four sides making it perfect for covering large areas. 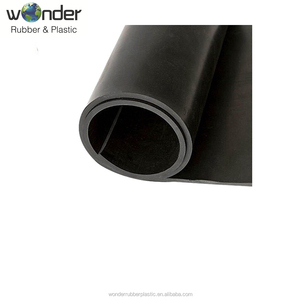 3.Material:NBR - Nitrile rubber compound for areas with petroleum-based fluids. 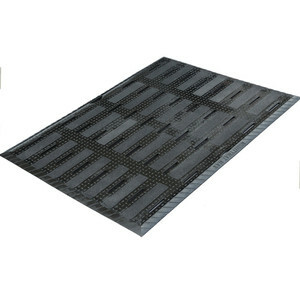 4.Comfort Deck is a premier, heavy-duty anti-fatigue mat. 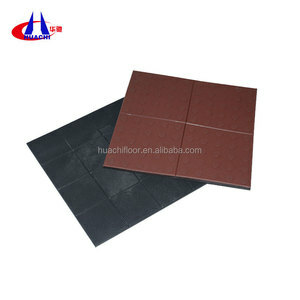 Use our kitchen mats for isolated areas or interlocking rubber tiles to pave larger areas. 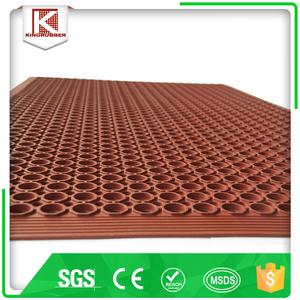 Kitchen mats are dense rubber mats that provide for fatigue relief, comfort, and proper water drainage. Our anti-fatigue mats come in a variety of styles and thicknesses to meet your needs and budget. the picture one is wooden pallet,then we will pack the pallet with the plastic film. the other picture is plastic film package. If you use the wooden pallets package,we can load more or less 18--22 tons into one 20 feet container. Q: How long is your delivery time9 A: Generally it is 5-10 days if the goods are in stock. or it is 15-20 days if the goods are not in stock, it is according to quantity. Q: What is your standard packing9 A: All the goods will be packed by carton box and loaded with pallets. Qingzhou Polymer Products Co., Ltd.
Our factory can provide the products made from different materials for the diversified requirements. Most of them are exported to Asia, North America, Europe and other countries. To ensure the high quality of our products, we brought in 6S production management system from our Japan partners. 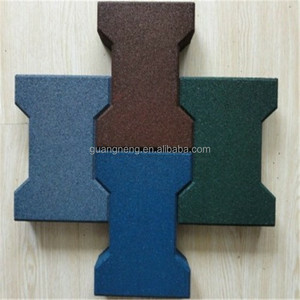 Qingdao Create Best Quality Trade Co., Ltd.
Alibaba.com offers 1,435 driveway rubber mats products. About 24% of these are rubber flooring, 10% are rubber sheets, and 2% are mat. A wide variety of driveway rubber mats options are available to you, such as rubber flooring, other heat insulation materials. You can also choose from silicone mould, compression mould. As well as from bar, exercise. 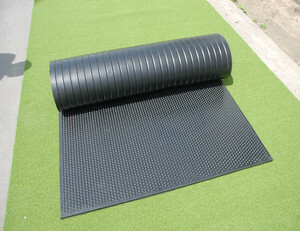 And whether driveway rubber mats is pe, plastic, or rubber. 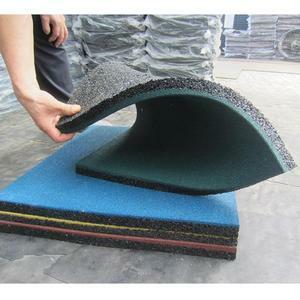 There are 1,440 driveway rubber mats suppliers, mainly located in Asia. 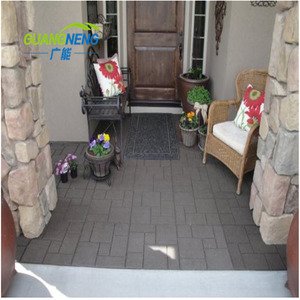 The top supplying countries are China (Mainland), Singapore, and Malaysia, which supply 99%, 1%, and 1% of driveway rubber mats respectively. 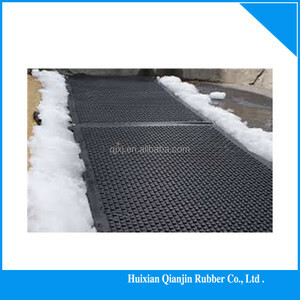 Driveway rubber mats products are most popular in Domestic Market, Mid East, and Africa. You can ensure product safety by selecting from certified suppliers, including 303 with ISO9001, 54 with Other, and 40 with ISO14001 certification.